We offer hygienically processed Remy Single Weft Hair to the clients based all across the world. 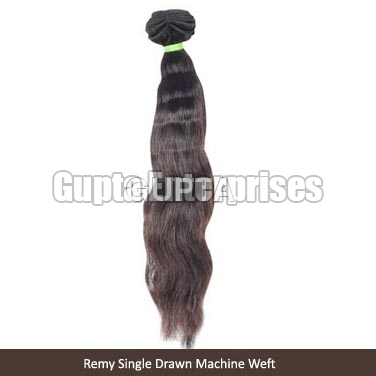 Good quality shackled and trimmed human hair is used to make Remy Single Weft Hair. Stringent quality tests are done to make sure that the Remy Single Weft Hair is tangle free, silky, shiny, clean, lice free and lustrous. Further, the Remy Single Weft Hair is offered by us in the market in different lengths and colors at the most reasonable prices.